Patricio Ginelsa is originally from Daly City, CA, where he started making video movies with his neighborhood at the age of 13. It was John Singleton’s 1992 film “Boyz N The Hood” that inspired Patricio to pursue a serious career in filmmaking at the University of Southern California where he graduated with a BA in cinema production. In 2000, Patricio became the Associate Producer of the award-winning film THE DEBUT and assisted in its theatrical self-distribution all over the country by driving his car cross-country and back. Once the movie got bought by Columbia Tri-Star in 2003, Patricio was hired as supervising producer of its DVD special features. 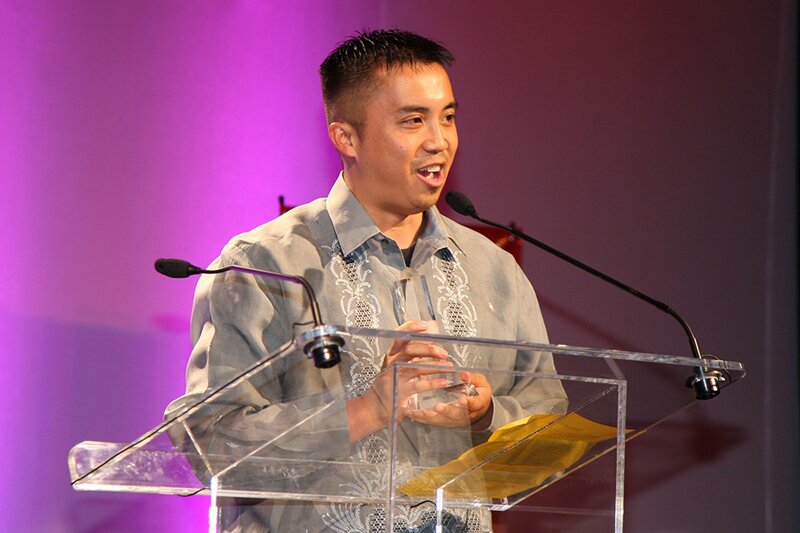 He wrote and directed the feature-length video movie LUMPIA (2003 Hawaii International Film Festival, 2004 Toronto ReelWorld) which received a rave review from Variety. After a community tour around the U.S., this “ultimate home made movie” gained a huge cult following on DVD. Under his production company Kid Heroes Productions, Patricio continues to develop his features and other projects from his Los Angeles office. Ginelsa was awarded the BEST MUSIC VIDEO for his Native Guns “Champion” video at the 2007 San Diego Asian Film Festival. Ginelsa wrote and directed two versions of “Bebot”, a song from The Black Eyed Peas’ fourth studio album, Monkey Business. Writer and director of The Black Eyed Peas’ song. Ginelsa wrote and directed the feature-length video movie. Lumpia received a rave review from Variety.